This very special guest article was authored by Preservation Artisans Guild member Rachel Hibbard. 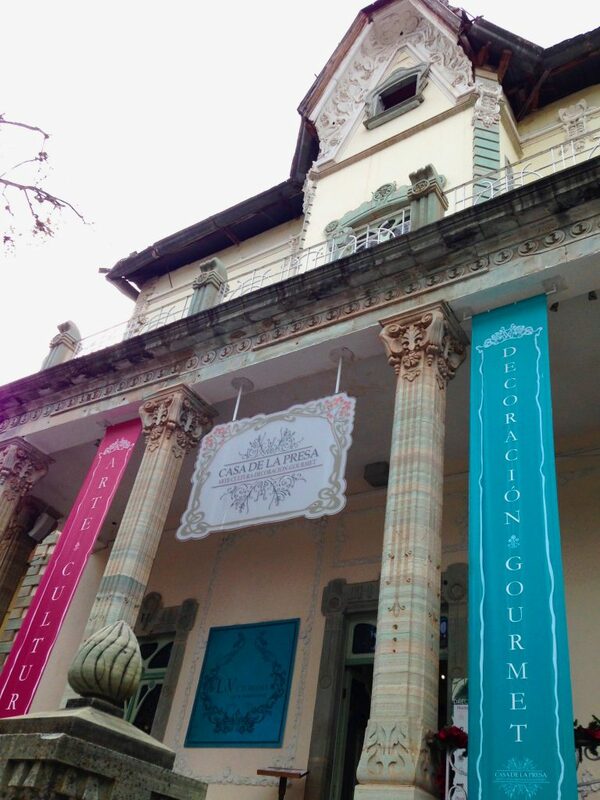 Rachel, who creates considered designs that enhance architectural features in both private and public settings, recently traveled to old Mexico and we are fortunate to have this exceptional and historic report on local architecture based on her experiences there. 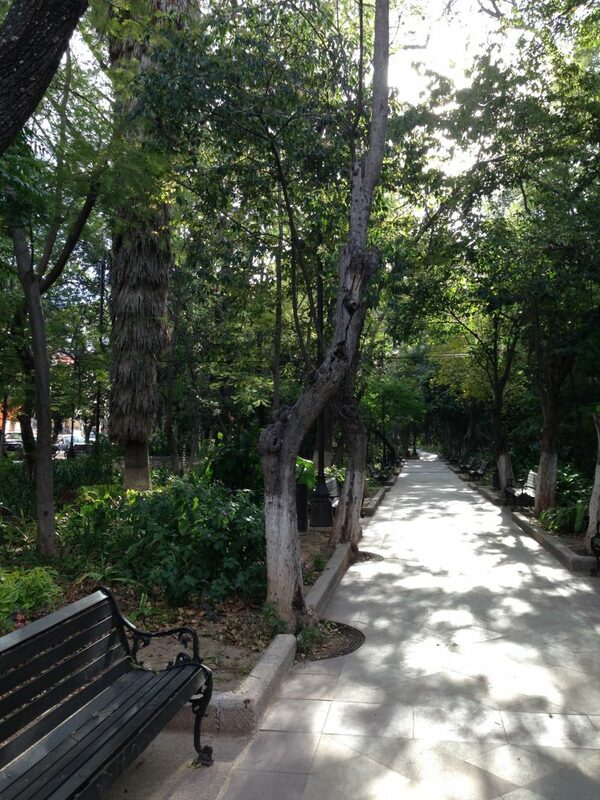 Walking down the broad, light-filled and tree-lined street of Paseo de la Presa in the Mexican city of Guanajuato it is easy to feel as if transported to Europe. 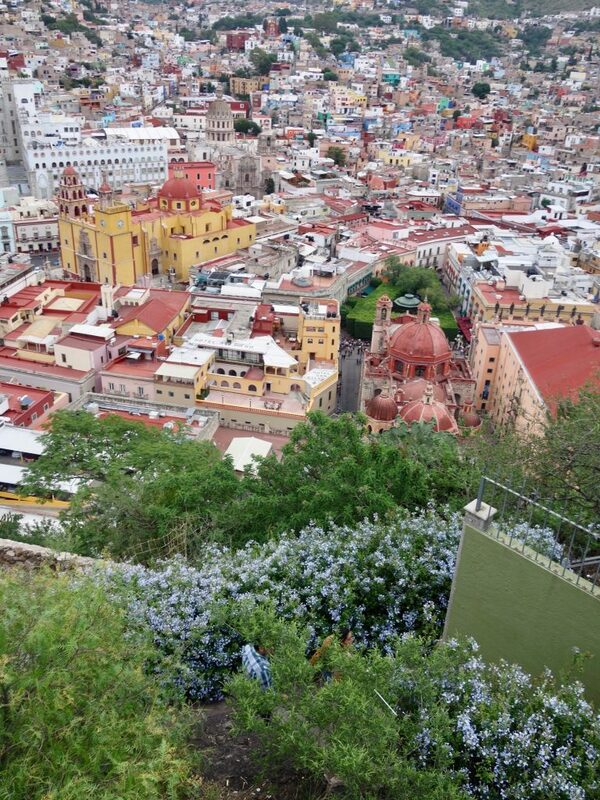 Most streets in beautiful and mountainous Guanajuato are one-way, intimate and curving affairs, streets that walking in them requires the agility of a cat and the ability to stay glued to walls as cars pass close by and often just inches from you. Calle Pressa, however, reminds one of some of Europe’s magisterial boulevards, with the large palatial buildings adorning the street adding to the feeling. Named for the dam located at its end, the street was built in the last decades of the 19th century and was meant to connect the dam and city center. Very quickly it became the city’s most desirable address, drawing to it the leading citizens of the growing town. 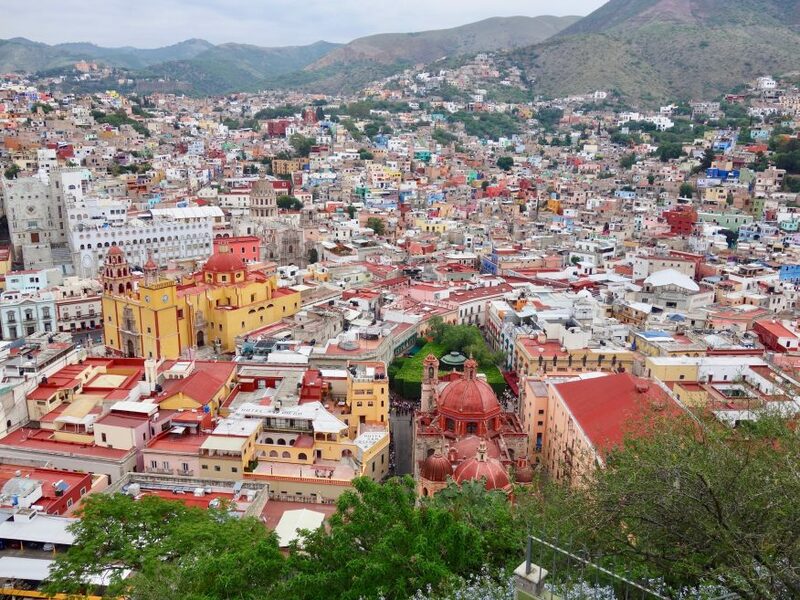 The city of Guanajuato, high in the mountains of central Mexico, is an architectural marvel. Declared a UNESCO World Heritage City, it contains many architectural and decorative treasures, of various eras and styles, the result of its rich history. In this article, I will present some of the unique buildings of Paseo de la Presa. In the next centuries, the changing styles popular in Spain- Gothic, Renaissance, Baroque and Neoclassical- were transported here but local building traditions were incorporated, including pastel-colored stucco and light pink stone, creating a unique style. The avenue is distinguished by its large spacious buildings, beautifully designed. Many were built during the reign of General Porfirio Diaz, between 1875-1911. A dictator enamored with French architecture, his palaces and the large estates of his cronies were built emulating Parisian architecture. In Guanajuato, the Juarez Theater, the Legislative Palace, the Peace Monument, the Monument to Hidalgo and the Barrage of Hope are examples of this influence. Many of the buildings were the mansions of men who accumulated fantastic riches thanks to the mines, while other dwellings were homes of consular delegations. Several of these impressive buildings are still owned by descendants of the mining barons while others were turned into schools, university departments, government buildings or restaurants. 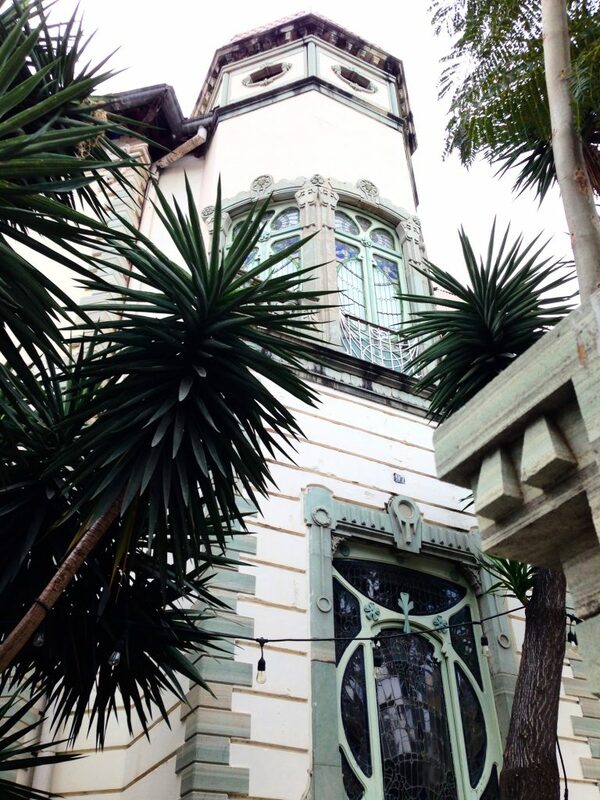 Two of the buildings that left the greatest impression on me are the Art Nouveau House and the Casa de las Brujas. 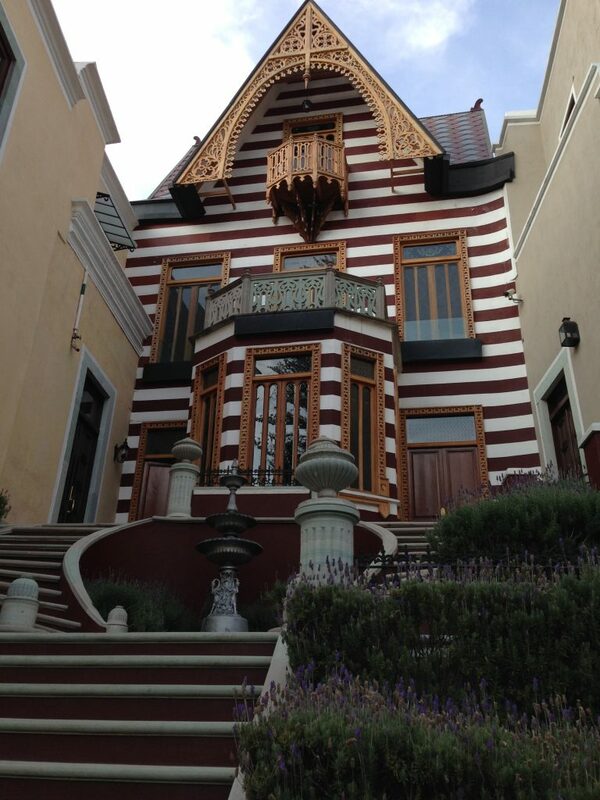 The first, at number 97, was designed in 1909 by Luis de Silva, a mining engineer turned architect. Leaving behind his experience of tunnels, darkness, and dampness, he opted for spaciousness and light. The building is distinguished by its rich and elaborate ironwork, stained glass, balconies, high ceilings with golden floral patterns and woodwork. 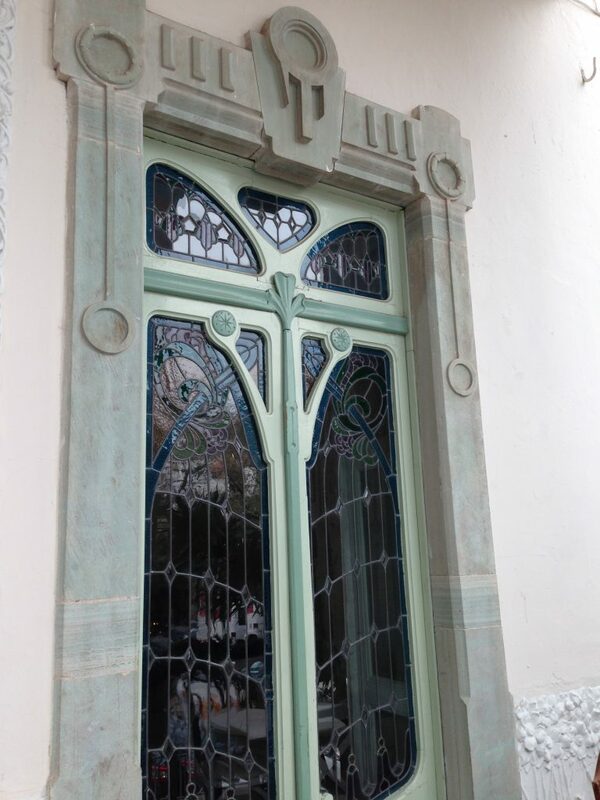 The Art Nouveau style, popular in Europe and then in other regions too at the end of the 19th century and beginning of the 20th century, was noted for great ornamentations, often of vegetables and fruit or of fantastical forms. The style expressed also in drawing, painting, graphic design and furniture was expressed beautifully in this building. Today the building has several uses. The large sun-filled front rooms, yard, and balcony, located 15 meters from the busy street, are occupied by a restaurant named Victoriana while the back rooms and the second floor are given to a few small food stands, craft stores and an art gallery. Abundant light floods the two floors through the many large windows and from the ceiling. Another impressive structure is the blue and gray building located at Paseo de La Presa 80A. It resembles early buildings in San Francisco with its circular set of steps that can be ascended from both sides. Ironwork, a small porch in front and a fence add to the charm. Known as Casa de las Brujas (‘house of the Witches’) it was built in the last decade of the 19th century by the mining owner Juan Carson. Shortly after completing the building he was arrested and convicted of murder and the house was deserted. The house received its name from persistent reports that on nights of the full moon, a young woman, Susan- the daughter of the murderer- appears in the window carrying a lamp. Described as pale with large expressionless eyes, she is said to invite without a word but with a gentle gesture the passerby to climb the stairs and enter the house. If tempted, the guest will find himself or herself in a dimly lit room and hear the sharp voices of two elderly women tending a fire. One, wrinkled, hunched and toothless approaches and sits by the visitor. She places in the hand of the guest a glass of dark red wine, its color resembling blood. The other old woman remains in her chair, never taking her eyes off the visitor. After the guest drinks the wine, the old woman suggests suggest spending the night with the beautiful young woman. Those who succumb will find that the bed has becomes a sealed coffin, with rats, scorpions, snakes and tarantulas as companions. Some residents of Guanajuato have claimed that they have entered the house and that nothing sinister has happened while others are adamant that this is the grave of their unsuspecting relatives. The house was abandoned for many years but it is now restored to its former glory and serving as a family residence. There are many other beautiful buildings on this street, preserved as government or university buildings and some can be visited. If you need a respite from the architectural wealth two beautiful gardens are located close by. 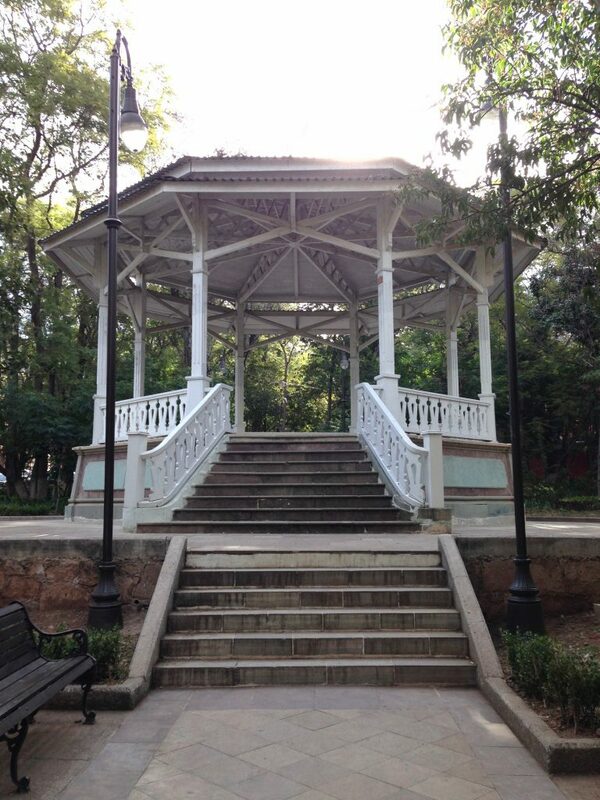 The first, the Florencio Antillon park is named for a 19th-century military officer and contains at its center a circular fountain, octagonal kiosk, and bronzed leaves. 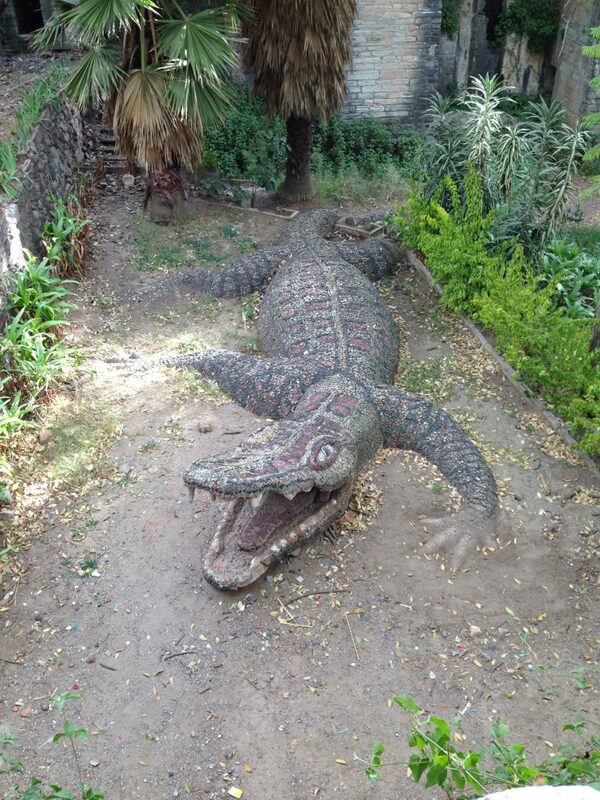 The second garden, the Acacias Garden, contains many acacia trees and a sculpture of an open-mouthed crocodile and a snake.